We have a “Blue Spirea” (Caryopteris x Clandonensis) as well as a white Spirea in the garden. 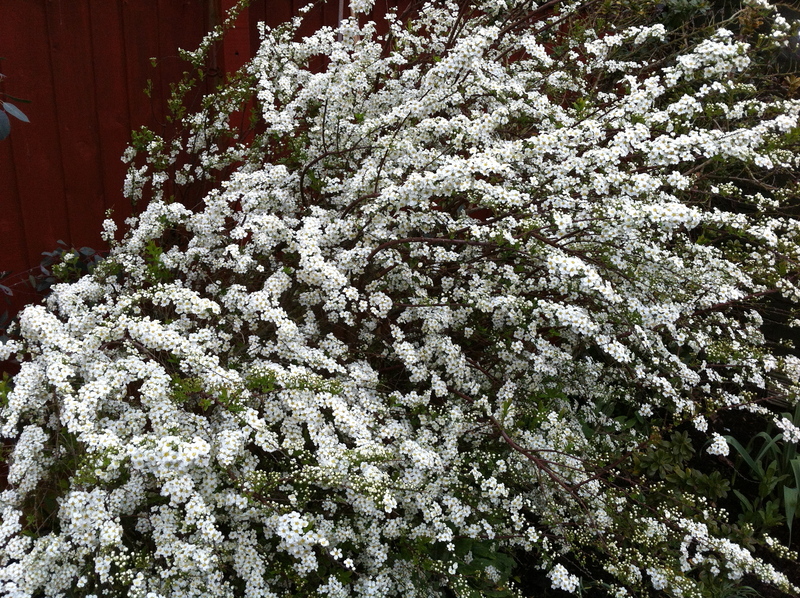 The white is “Spiral x Arguta” and is also known as “Foam of May” or “Bridal Wreath”. 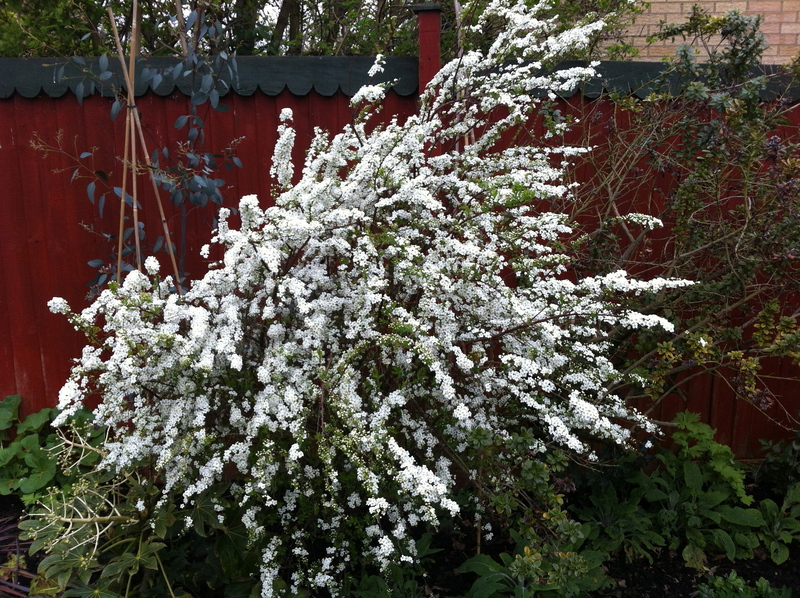 It spends most of the year as a forgettable deciduous green shrub but when it flowers in spring, usually before its leaves come out, it turns white and looks utterly incredible. Long arching branches covered with thousands of tiny white flowers makes it look like some sort of fantastic foamy floral fountain. In the twilight after the sun has gone down, the white flowers seem to fluoresce and the whole shrub really stands out against the darkness. I’ve been looking forward to this shrub flowering all year and it really cheers me up to see it in its full glory – even if it isn’t for very long.